BPSC 2018: Bihar Civil Services Prelims date released at bpsc.bih.nic.in: Bihar Public Service Commission (BPSC) has released the date of 64th collective preliminary examination for civil services 2018. Candidates who are going to appear for the BPSC 2018 examination can check the official notification announced through the official website of Bihar Public Service Commission that is bpsc.bih.nic.in. The examination is set to be conducted on 16th December 2018. The examination is going to be held in one shift only. The exam time shift is in afternoon with one sitting between 12 pm to 2 pm across the state. The BPSC 2018 examination will be conducted at 35 districts of Bihar over 808 exam centres. Preliminary Exam: The preliminary examination will be of 150 marks which contain the questions of general. The time duration of the BPSC 2018 exam is of 2 hours. 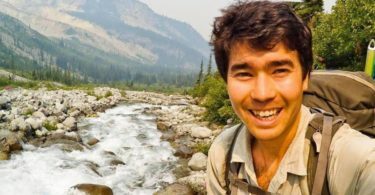 Interview: The last as well as final phase of the BPSC 2018 examination will be an interview. The candidates who want to clear the whole examination process of BPSC 2018 have to clear the interview. Interview will also carry 150 marks. The overall marks of Preliminary Exam, Main Exam and Interview will be taken to consideration for the selection of the candidates. Important dates and information about the exam are no yet announced so, candidates must be up to date with the official website for latest updated information by Bihar Public Service Commission. Candidates must download their admit card within the given time period and must take a print out of it for further use. Don’t be late for the examination as late entries are strictly prohibited, so make sure to reach the examination centre (which is mentioned in your admit card) prior 30 minutes earlier with your admit card which is compulsory otherwise you will be not allowed to sit in the examination. Bring your passport size photos as well as your ID proofs in the examination centres. 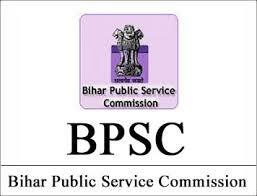 Although the dates for the announcement of BPSC 2018 the admit card is not yet announce by the Bihar Public Service Commission officials but they have requested to stay in touch with the local newspapers as well as the official website of Bihar Public Service Commission where the latest update will be published regarding the Bihar Public Service Commission 2018 examination.